Stem is actively involved in developing projects that support the infrastructure of the legal web. We are always looking to develop quality content for the legal industry, and we use this network of websites, which is strategically integrated with our profile building and law firm seo services, to drive client awareness & promotion. Stem is also open to publishing on behalf of our retainer clients, and partnering with other companies on new web properties. Please contact Steve Matthews to explore new concepts. 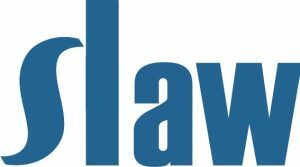 Since 2005, Slaw.ca has been Canada’s online legal magazine, written by and for the Canadian law community: lawyers, librarians, technologists, marketers, students, educators and everyone in between. With perspectives from academia, law firms, non-profits, regulatory bodies and beyond, Slaw explores how law is practised, how it’s taught, how the industry is changing, and what the future might hold. Slaw is considered essential daily reading by many in Canadian legal circles. With more than 2 million visits per year, our readers make up a loyal, curious, and engaged community. In 2014, Stem Legal assumed the role of Slaw publisher from Simon Fodden. We are honoured to continue Simon’s vision of facilitating smart, informed discussions about the law. Slaw Tips is a companion site to Slaw.ca, and offers short, to-the-point, practical tips for the legal community several times a week. Tips focus on ways to improve your legal writing and research skills, strategies for practice management, and the latest tools to up your tech game. Slaw Tips is written by a panel of clever contributors who generously share their wisdom through quick and dirty tips and practical (or sometimes philosophical!) points to ponder. The Canadian Law Blogs List was first published in September 2005 on the Vancouver Law Librarian Blog by Steve Matthews. Stem Legal is proud to continue the open spirit of the original list as it moves forward at lawblogs.ca with over 500 Canadian legal blogs. The Canadian Law Blogs List is an open directory with free listings available to any Canadian blogging lawyer, law librarian, marketer, IT professional, or paralegal. If you or someone you know publishes a blog that meets our submission guidelines, please let us know. There are lots of great Canadian law blogs out there, and this website is a showcase of our local Canadian talent. The Clawbies started as a one-man operation in 2006 and are still running more than 10 years later. The Clawbies run every December, with final results released on New Year’s Eve. Although the awards celebrate the year’s most notable Canadian legal industry bloggers, we emphasize that the most important part of the process is the nominations, which are social-media based and open to blog readers in Canada, the US, and beyond. We hope you’ll take part! The Vancouver Law Librarian Blog is the personal professional blog of Steve Matthews. (Emma Durand-Wood is an occasional contributor, as well.) The topics are wide ranging, including legal web development, the law librarian profession, RSS technology, Knowledge Management, and legal resources that may interest readers locally and beyond. The DUI Lawyer Blog Watch is a one-stop shop for DUI law commentary. DUIblogwatch.com tracks the 50 latest posts from DUI law blogs and aggregates them on a single page, allowing visitors to see a quick snapshot of the last few days’ commentary. Launched in 2008, the site monitors more than 75 different feeds, including dedicated DUI blogs as well as criminal law blogs that have been filtered to only include posts that contain the term DUI or DWI. We want to see that number grow! If you know of another lawyer who blogs on DUI law, please drop a line to Steve Matthews or Phoenix, Arizona DUI lawyer Lawrence Koplow – we’d be happy to add them to include them. Law Firm Web Strategy is about web innovation in the legal space and making the connection to law firm business interests. Topics include profile building, branding, law firm websites, social media, content marketing, and law firm seo. This is the official blog of Stem Legal, and covers our ongoing web strategy and client news. LegalPubs.ca provides a one-stop showcase of products offered by Canadian legal publishers. Using RSS feeds, we’ve mixed the 10 latest items for each of Canada’s major legal publishers. Each entry is passed along unmodified from the publisher’s original feed, and simply sorted by date to produce a dynamic, watchable list of the latest products available. The main page of the site also includes the linked headlines for each feed as an individual source. The primary audience for legalpubs.ca is law librarians, and we hope this effort will help reduce the mountain of paper advertisements many librarians regularly receive. We also hope the site proves valuable to solo practitioners and lawyers in small firms who are tasked with creating and maintaining their own resource libraries.